California is well known for its sunny beaches, sprawling suburbs, exciting cities and amazing mountains. Have you ever wondered where we got the nickname Golden State? Or what kind of incredible inventions were made here? Discover something you may not have known before about beautiful California! Spanish explorers named it California, specifically after it was discovered by Hernan Cortes. Some stories go that California got its name from the Catalan. Others say the name comes from the mythical land of Queen Califia. California is the only state to have a trillion-dollar economy, making it the sixth largest economy in the world. Many inventions were first created in California include blue jeans, Barbie dolls, Frisbee, theme park (Disneyland), Apple computers and many others. Known as Methuselah, the tree is a white pine found in the White Mountains and thought to be 4,650 years-old. Mount Whitney’s highest peak is accessed via the famous Mount Whitney Trail and the summit is at 14,495 feet. This nickname derives from the discovery of gold in California in 1848, and because of the vast fields of yellow poppies that decorate the state in spring. California produces more grapes (and wine), as well as almonds, and dates than any other state in the union. In Death Valley on July 10, 1913, at Furnace Creek, temperatures reached a record-breaking 134 degrees Fahrenheit. This is the hottest air temperature ever recorded on the planet. Los Angeles played host to the Summer Olympics in 1932 and 1984 and Squaw Valley, near Lake Tahoe, hosted the Winter Olympics in 1960. California raises more turkeys than other states. According to the numbers, over 15 million turkeys are grown each year in California, making nearly $200 million in total business. California is home to the highest and lowest points in the continental United States, with the points being within 100 miles of each other. 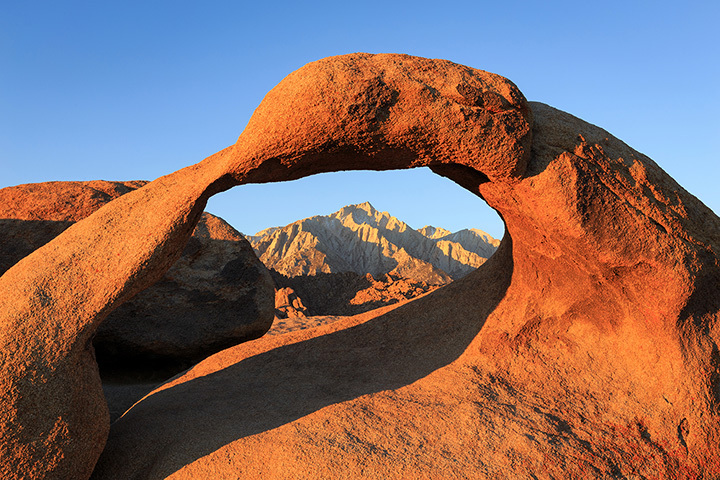 Mount Whitney measures 14,495 feet and Bad Water in Death Valley is 282 feet below sea level. Before it was the Golden State, California was known as The Grizzly Bear State. A grizzly bear is still on the state flag, but unfortunately has been largely wiped out. California became an official state in 1850, as part of the Treaty of Guadalupe Hidalgo, which ended the Mexican-American War in 1848. California’s original flag was designed by William Todd, a nephew of Mary Todd Lincoln.